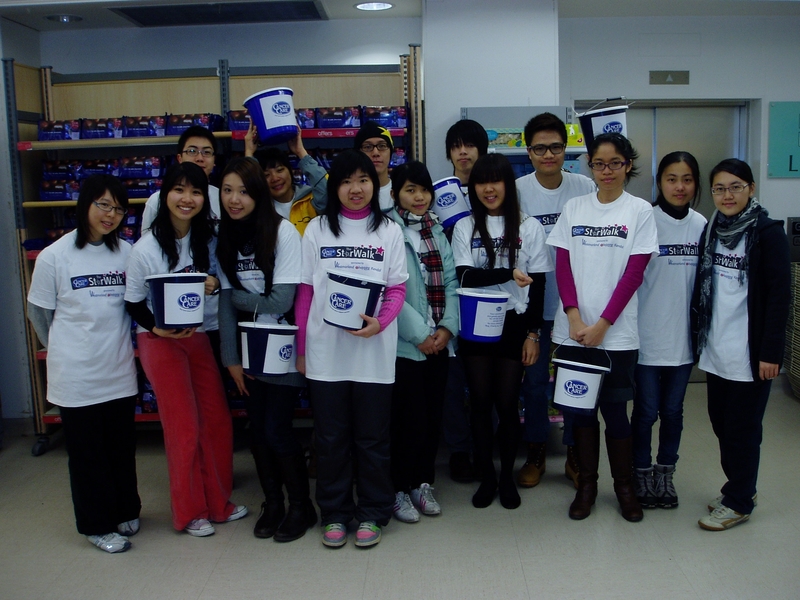 On Wednesday 31st March, 15 students from Hong Kong, studying here at the University of Cumbria for their second semester, participated in a ‘bag-pack’ at Marks & Spencers in Lancaster to raise money for Cancercare in Lancaster & Kendal and to promote the ‘Starwalk’ due to take place on Saturday 8th May. We all met at Marks & Spencers’ at 9.30am and were introduced to the staff there. The students were then split into two groups – one group worked in twos to promote the starwalk to customers in the shop and handed out leaflets, whilst the other half worked, either alone or in twos, to help customers at the tills to pack their shopping into bags. Then they swapped over throughout the course of the day. Each till had a bucket for donations and the customers were very generous!